Also called "Canoe" router bits. Tight fitting cedar strips make a canoe, hot tub, or planter. 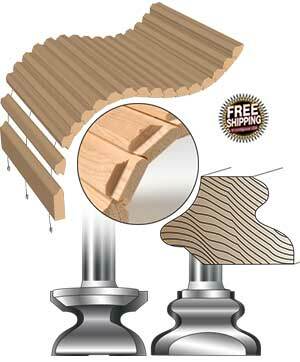 Use for any project using interlocking sealed edge joints. 2 flute, carbide tipped. 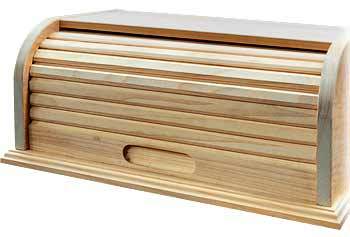 Ideal for making cedar strip canoes (canoe building), hot tubs, planters, etc. The Stacked Flute and Bead bits (lower chart) make both profiles by simply moving the bt up or down. Purple color ♦ diamond marked items are designed for use on 1/4" slats to make tight sealed fitting edge joints on curved surfaces. Also known as "cove and bead router bits". 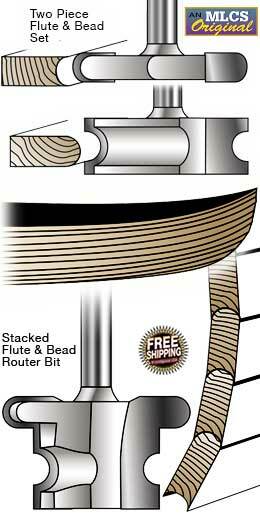 Stacked Flute and Bead bits make both profiles by simply moving the router bit up or down. This two piece flute and bead set worked great for making my wood strip canoes. If you cut all of your wood strips and have a 1/4 inch thickness you can set up your router table to finish off your joining edges. Make beautiful roll top desks and unique bread boxes! SAVE $20! The unique interlocking pattern keeps slats aligned. Designed to be used in both single and double curve applications. 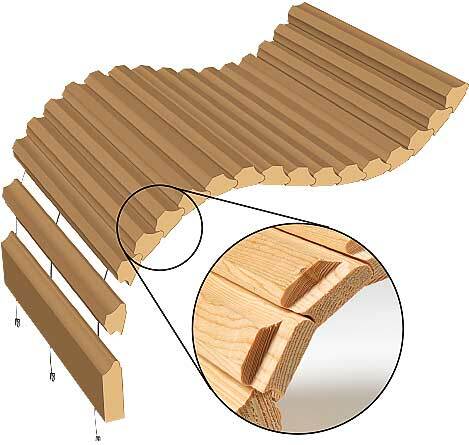 Slats can be mounted over canvas or joined with cable wire. These two flute, carbide tipped, 1/2" shank bit sets include a 15 ft. cable kit (a $5.00 value)! See the MLCS Bread Box Project plans, which use the Tambour router bits. SAVE $20! 2 piece router bit set. $99.95 list.